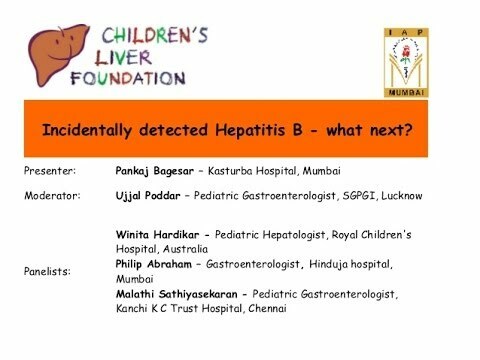 Incidentally detected Hepatitis B - what next? Cost-effectiveness analysis of hepatitis B vaccine booster in children born to HBsAg-positive mothers in rural China. Pegylated interferon alfa for chronic hepatitis B: systematic review and meta-analysis. Randomized, controlled trial of entecavir versus placebo in children with hepatitis B envelope antigen-positive chronic hepatitis B.
Randomized, placebo-controlled trial of tenofovir disoproxil fumarate in adolescents with chronic hepatitis B.
Virologic Responses to Add-on Adefovir Dipivoxil Treatment Versus Entecavir Monotherapy in Children With Lamivudine-resistant Chronic Hepatitis B. Rapid Point-of-Care First-Line Screening Tests for Hepatitis B Infection: A Meta-Analysis of Diagnostic Accuracy (1980-2010).